Last year for Christmas I finally got what I’d been wanting for years: a Silhouette Cameo! I’ve wanted this electronic cutting machine for several years because the crafting options are endless! From cutting fabric, paper, stencils and vinyl, to sketching and making heat transfers, the Silhouette (and other cutting machines like it, such as the Cricut) is perfect for the job. I LOVE crafting, but I’m not a natural artist and can’t really freehand fonts. Working with vinyl is surprisingly easy and is very versatile medium. 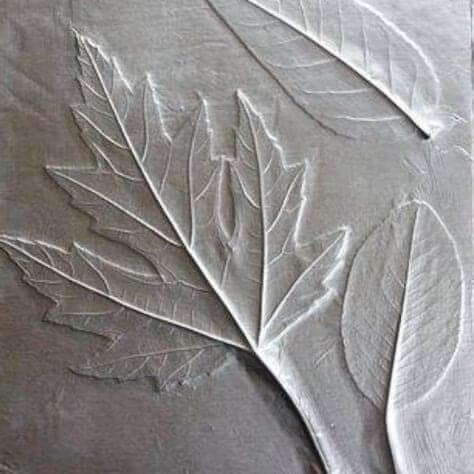 It’s a great way to start using your cutting machine to make gifts, add function to items you already use at home, or just make something pretty (my personal fav). 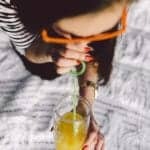 Keep reading for some awesome vinyl crafts you should probably start making right now! My all time favorite craft so far using vinyl is making custom tumblers and mugs. While applying the vinyl to a cup does take some practice, your options are endless when it comes to styling. I love using colored tumblers and holographic vinyl! 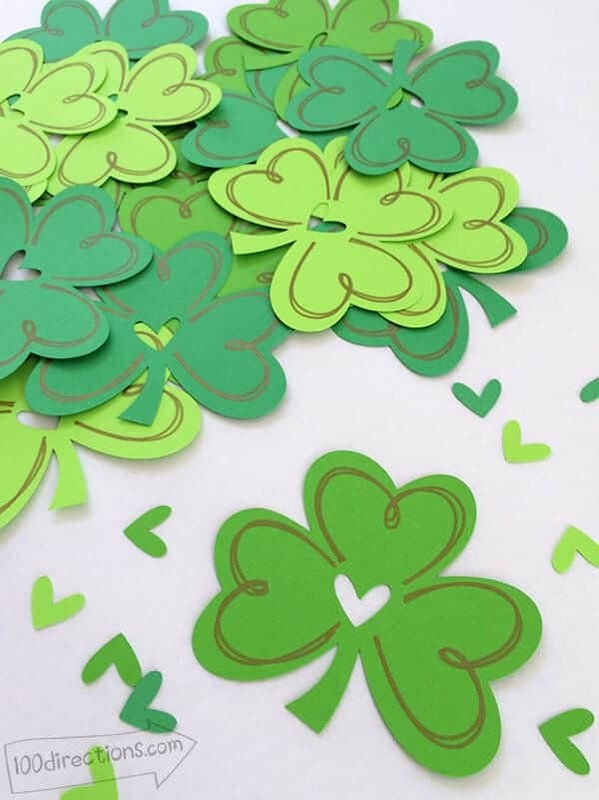 You can make your own designs, find plenty of free pre-made graphics on Pinterest, or buy from the Cricut or Silhouette Design stores. 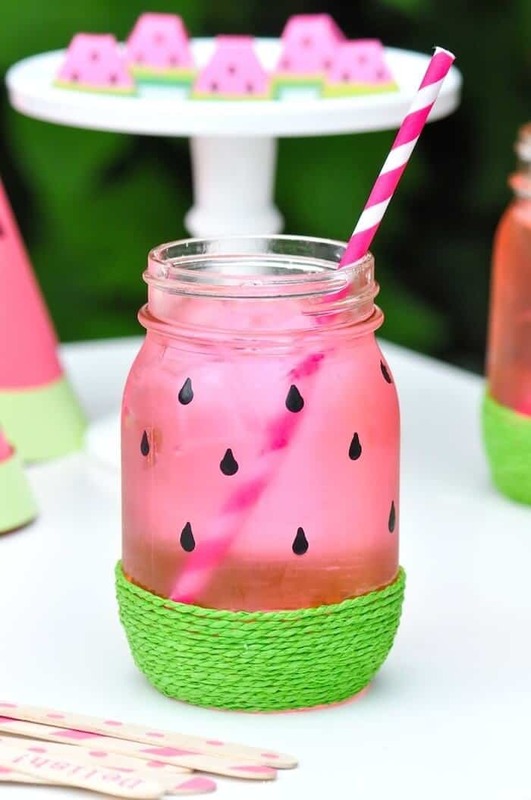 They are awesome as bridesmaids gifts, party favors, teacher appreciation gifts or just as a way to dress up your boring water cup! 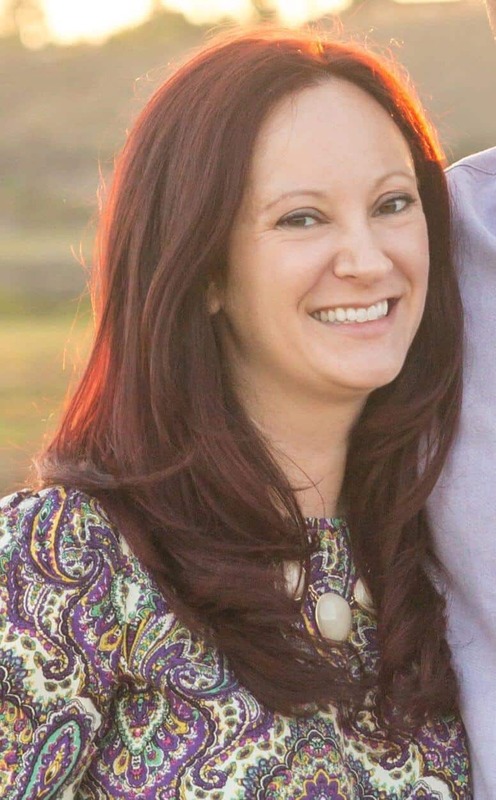 I highly recommend checking Silhouette School for training, ideas and tons of how-to’s for getting started with vinyl! Buying artwork for your home can be costly, and sometimes it’s never exactly what you want anyways. 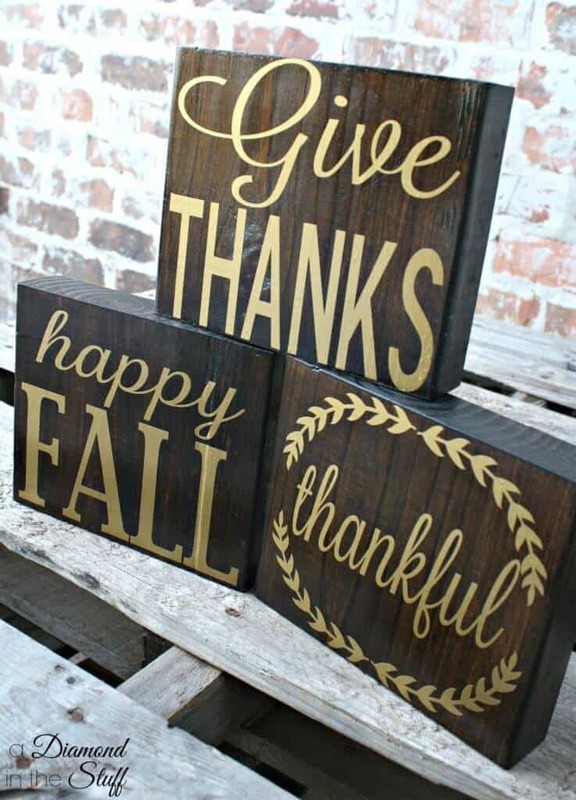 Using a cutting machine to cut out your own slogan, saying, inspiring words or graphics is super simple and applying them to wood is a great way to add texture to your home decor. You can paint or stain any sized wood to your liking, and then apply the graphic in colors that fit your home perfectly. See how easy making wood signs can be at ADiamondInTheStuff.com! Goodbye boring and ugly garage totes. Hello, functional and fun storage labels! We all have tons of those Sterilite totes in our garage, holding our precious keepsakes, seasonal decorations, baby clothes and more. 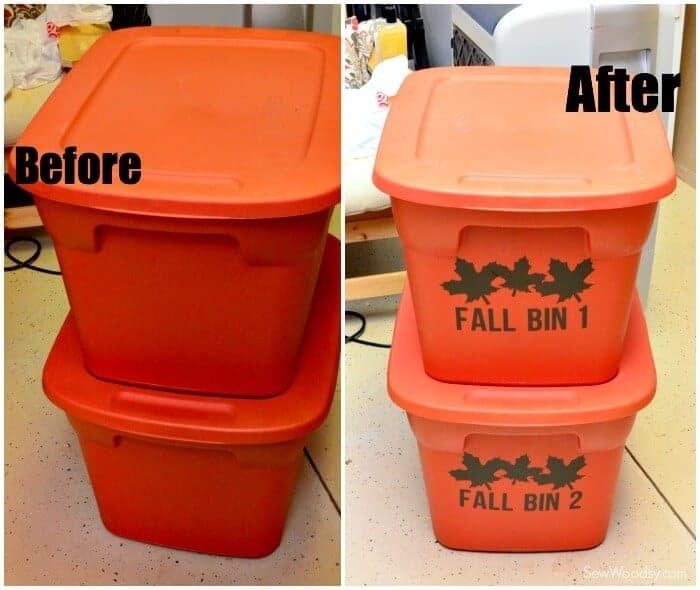 There’s no reason you can’t use some of your vinyl to make the totes not only look better with a fun font and image, but also to be more organized. This is a super easy craft that lets you put your crafty hand to use for something that will help the whole family stay organized. Find the free Cricut design and more tips on this craft at SewWoodsy.com. Doesn’t everything look better with a pretty label? Well I think so. These pantry labels are so cute that they actually make me want to cook and bake! 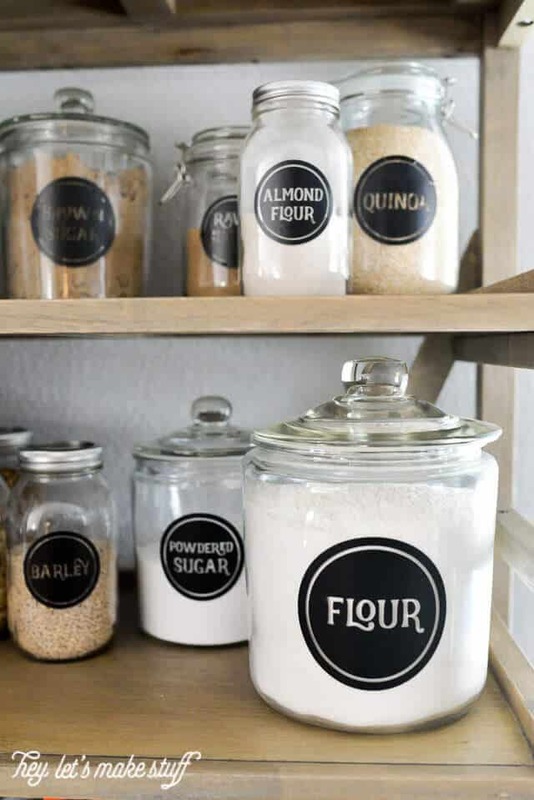 Get the organized and magazine worthy-looking pantry you’ve always wanted with inexpensive glass jars and simple labels that make these look like they’re from Crate & Barrel. You can find this exact version from HeyLetsMakeStuff.com! 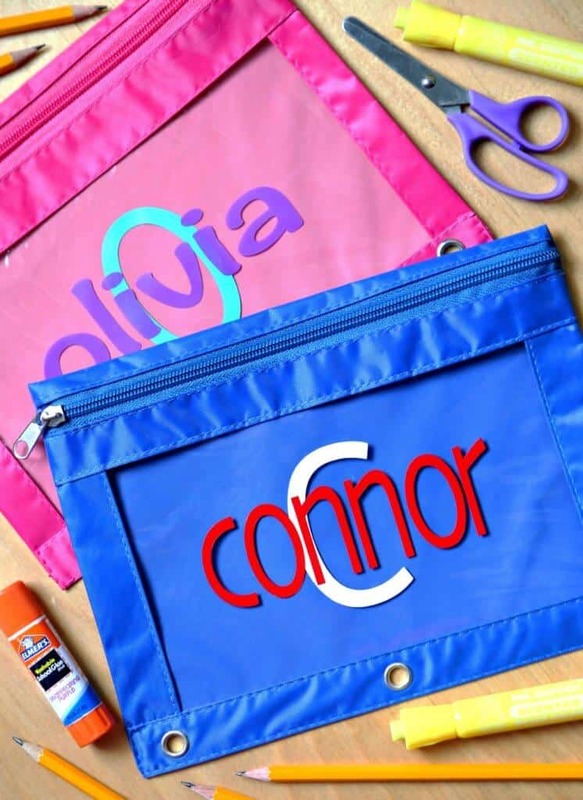 Lunch boxes, backpacks, pencil boxes or pouches- your kids lose stuff ALL the time so it makes sense to use vinyl to add their name to everything. Vinyl lettering is an easy way to do it, and if you use good vinyl, it will last all year. No peeling or rubbing off! We found this craft at HappyGoLuckyBlog.com. Head over to see the tutorial. If you love personalized serving ware, vinyl will be your new best friend. Layer it on a serving tray, stick to a charger plate and use as decor, or apply to a glass cutting board for a housewarming gift. The best part about using vinyl is how easy it is to customize! Why not make it special for a good friend or beloved family member? 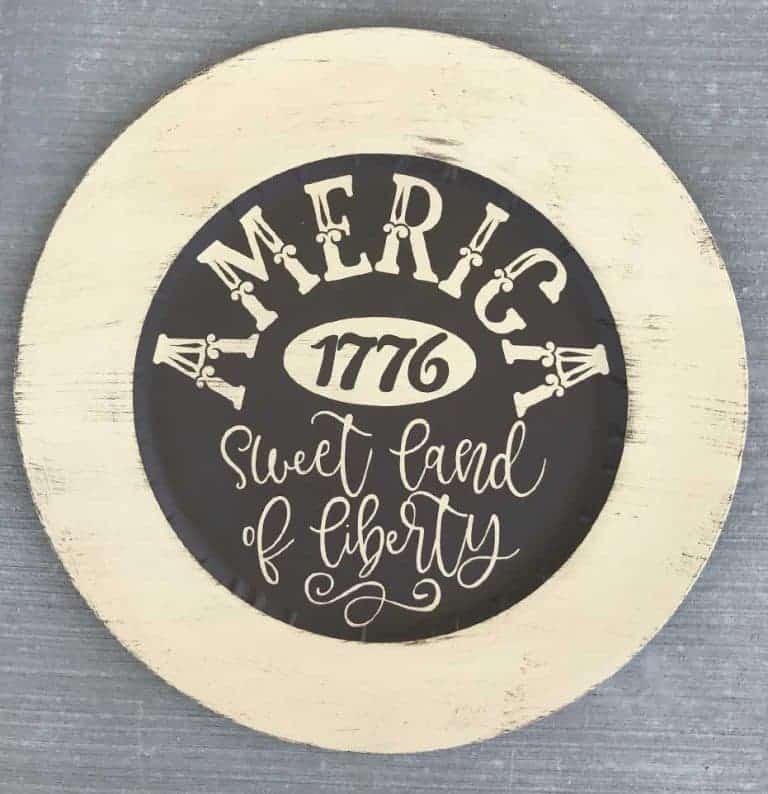 See the amazing tutorial for this patriotic charger plate at BurtonAvenue.com. Do you love gallery walls? Then chances are you realize they can be stressful to put together! Finding the right frame size, correct color and then variety of other designs like numbers and quotes can take a lot of time. 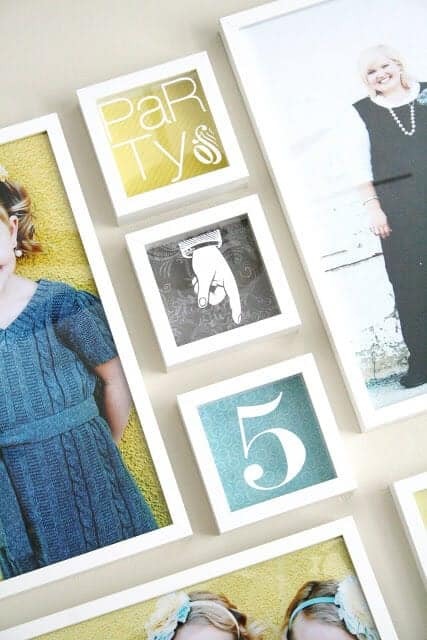 With vinyl projects, however, you can transform an otherwise ill-fitting frame into the perfect piece for your gallery wall. 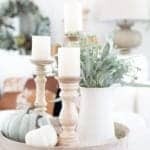 You can find tons of home decor and design ideas at TheHouseOfSmiths.com! 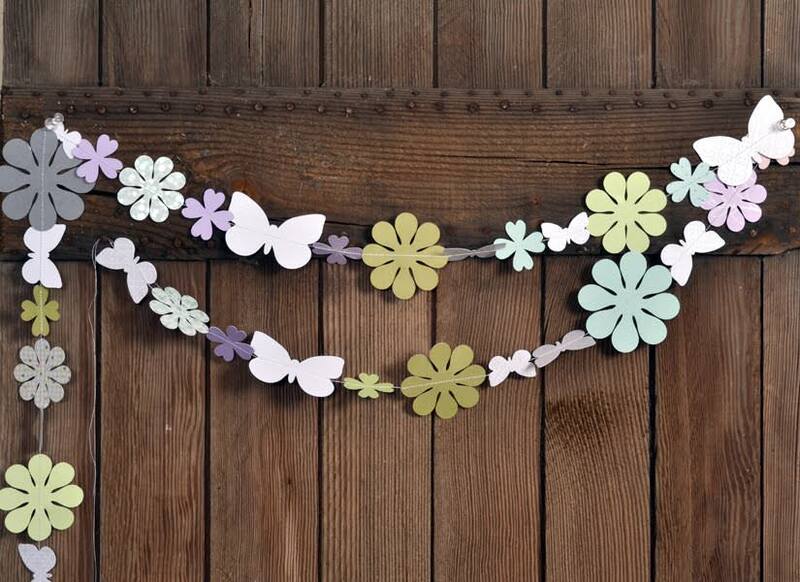 Check out more amazing crafting ideas for your cutting machines!